A Cancer in the Dugout! Readers already know I thought the Papelbon trade would turn out badly (see several previous posts). 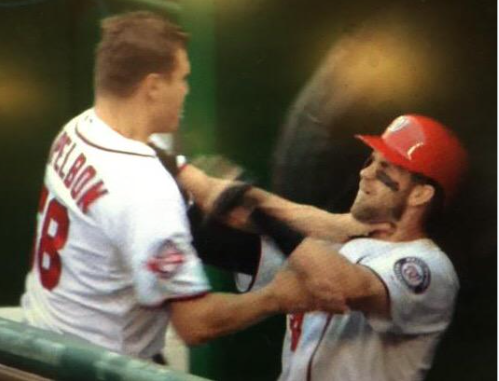 His ridiculous beaning of Machado in the recent Orioles game and now attacking Bryce Harper in the dugout today will hopefully bring Mike Rizzo to his senses. It is time to end the “Pap-smear.” He has shown repeatedly over the years that he is an “it’s all about ME” player who doesn’t belong in the Nats clubhouse. Acquiring “Pap” was a bad mistake from the get-go. They needed a set-up pitcher, not another closer. The Lerners need to step up to the plate and get rid of Rizzo, Matt Williams, and Papelbon the day after the end of the season. The Nats bats are most likely still smoldering and smoking this morning after exploding last night. Ryan Zimmerman now has 71 RBIs in the approximately 95 games he has played this year (which projects out to about 121 for a full season). He is one of the hottest batters in baseball right now. Bryce Harper, batting just before RZimm, wisely didn’t swing at any bad pitches and managed to walk every time he came to bat! He scored all 4 times. Bryce is only the 4th player SINCE 1914 (!) to score 4 runs with NO OFFICIAL AT-BATS in a game. Put that in your pipe and smoke it:) He saw 20 pitches and did not swing at a single one! The rest of the team brought their A-game also. Rookie Trea Turner even got his first major-league hit! Pretty good after flying home from St. Louis in the middle of the night and getting to bed around 6am before the game. So, the Mets and Nats are tied for first place after 103 games. The just-concluded 3-game series was at times hard to watch, as good-pitching with mediocre hitting can be. 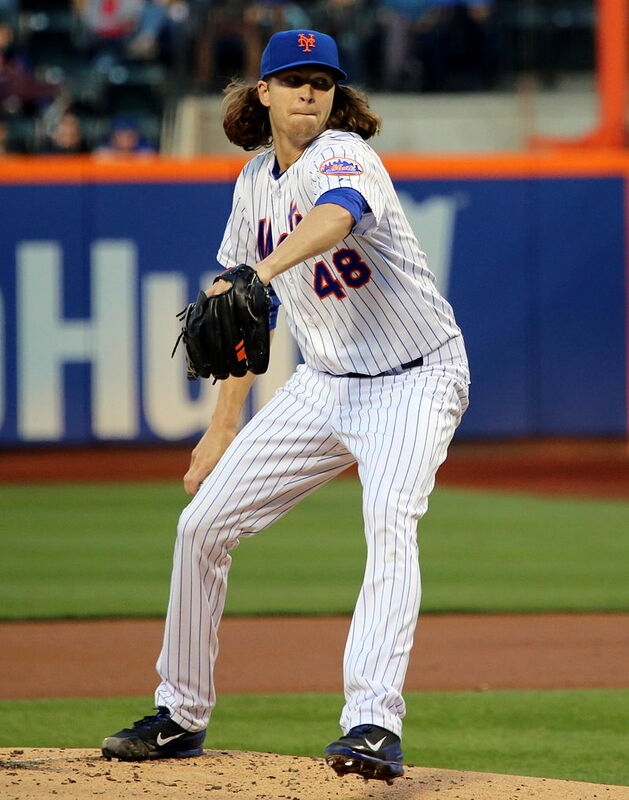 The Mets out-scored the Nats 10-5, and the weak-offense Nats struck out 34 times in the 3 games. Bryce (and most of his teammates) at times looked over-matched against the three aces New York threw at them. In 11 at-bats Mikey Taylor fanned 8 times, looking like the pre-2015 Danny Espinosa. Too bad “mad-man-Max” coundn’t pitch all three games! The recently bolstered back-end of Washington’s bull-pen could not help in this series. New York almost sold out all three games and the atmosphere was electric for the whole weekend. The Mets have not generated this kind of raucousness since 2007!